How Well Do the Generic Multi-attribute Utility Instruments Incorporate Patient and Public Views Into Their Descriptive Systems? Multi-attribute utility instruments (MAUIs) are increasingly being used to generate utility data, which can be used to calculate quality-adjusted life-years (QALYs). These QALY data can then be incorporated into a cost–utility analysis as part of an economic evaluation, to inform health care resource allocation decisions. Many health care decision-making bodies around the world, such as the National Institute for Health and Care Excellence, require the use of generic MAUIs. Recently, there has been a call for greater input of patients into the development of patient-reported outcome measures, and this is now actively encouraged. By incorporating the views of patients, greater validity of an instrument is expected and it is more likely that patients will be able to self-complete the instrument, which is the ideal when obtaining information about a patient’s health-related quality of life. This paper examines the stages of MAUI development and the scope for patient and/or public involvement at each stage. 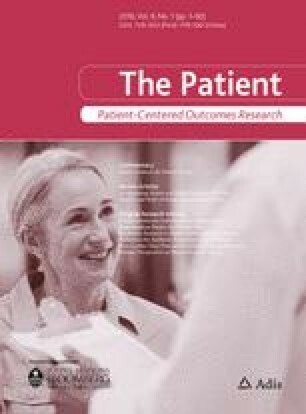 The paper then reviews how much the main generic MAUIs have incorporated the views of patients/the public into the development of their descriptive systems at each of these stages, and the implications of this. The review finds that the majority of MAUIs had very little input from patients/the public. Instead, existing literature and/or the views of experts were used. If we wish to incorporate patient/public views into future development of MAUIs, qualitative methods are recommended. There was no funding source for this paper. The author is the developer of the Child Health Utility 9D (CHU9D), which is discussed in this paper. EuroQol. http://www.euroqol.org/. Accessed 23 Sept 2014. National Institute for Health and Care Excellence. https://www.nice.org.uk/article/pmg9/resources/non-guidance-guide-to-the-methods-of-technology-appraisal-2013-pdf. Accessed 23 Sept 2014. Food and Drug Administration, US Department of Health and Human Services. Guidance for industry: patient-reported outcome measures Use in medical product development to support labeling claims. 2009. http://www.fda.gov/downloads/Drugs/GuidanceComplianceRegulatoryInformation/Guidances/UCM193282.pdf. Accessed 24 Sept 2014.
van Reenen M, Janssen B, Oppe M, Kreimeier S, Greiner W. EQ-5D-Y user guide. http://www.euroqol.org/about-eq-5d/publications/user-guide.html. Accessed 12 Nov 2014. QualityMetric Incorporated. SF tools. http://www.sf-36.org/tools/SF36.shtml#VERS2. Accessed 13 Mar 2008. UK Department of Health. Equity and excellence: liberating the NHS. http://www.dh.gov.uk/en/Publicationsandstatistics/Publications/PublicationsPolicyAndGuidance/DH_117353. Accessed 24 Sept 2014.